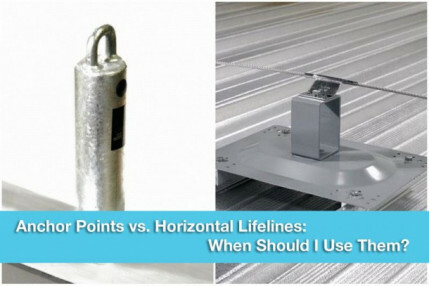 When the conversation turns to fall protection, railings, skylight screens, horizontal lifelines, and mobile anchor points are often discussed , but what about vertical lifelines? We tend to not hear as much about this solution, yet there are many situations in which a vertical lifeline is the best and safest option, especially when climbing. The benefit of a vertical lifeline is to have an anchor point that travels with you so that you have the mobility to climb while maintaining an anchor point above your D-ring. 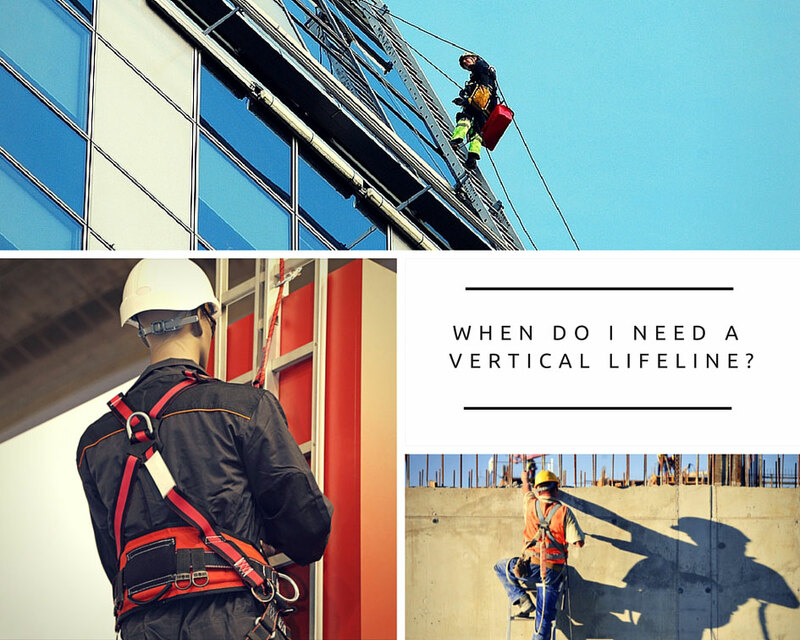 To get a full understanding of what we’re discussing, you first need to understand a vertical lifeline system. The system is usually a rope, a cable, or a track to which you are attached via a full body harness and lanyard. The anchor point will involve a mechanism such as a rope grab or something similar. This mechanism allows you to climb up and down (often on a fixed ladder, but it can be used in other circumstances as well). In the event of a fall it will lock into position by “grabbing” the rope (on a track system, there is an arrestor built into the track that travels with you instead of a rope grab). 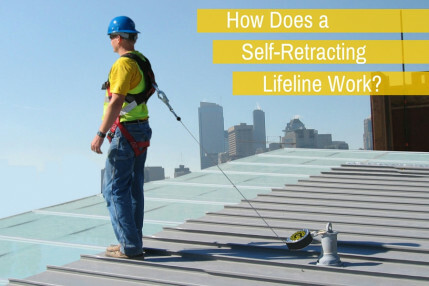 Also note that a self-retracting lanyard anchored at the top of a fixed ladder would act in much the same way and can be used as a “vertical lifeline” of sorts. When do I need a vertical lifeline: OSHA states that a cage must be used for ladders more than 20' in height. 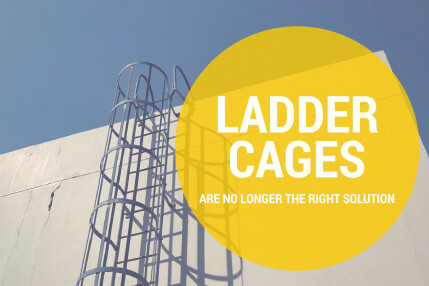 However, it also states that in certain circumstances (chimneys, towers, wells) a ladder safety device (vertical lifeline) can be used in lieu of a cage. Also, when a ladder exceeds 30' in length, the ladder must then have a landing(s) or additional safety devices. Beyond the regulation, we also need to consider the health of the employee after a fall. With a cage, there is a chance the employee will be "caught", but there is also a high likelihood that he/she may experience a serious injury in the process of falling. Ladders that are commonly used are great candidates for a vertical lifeline. When the ladder is attached to a chimney, tower, or well; when a ladder exceeds 30' in height; or when a ladder is used often, consider a vertical lifeline. In addition, vertical lifelines can be adapted to virtually any climbing situation (e.g., ironworkers climbing to their area of work on the rebar frame of a pour-in-place concrete wall, as long as your system can be properly installed, a steeply pitched roof, etc...). In situations such as these, fixed anchor points and rails may be, at best, impractical and, at worst, ineffective. Vertical lifelines offer the same protection while allowing a change in the height at which you are working. Climbing ladders is a task we sometimes take for granted as a safe task, yet all it takes is one slip – one missed rung – one dizzy spell – to change that. Vertical lifeline systems are relatively inexpensive and can be installed quickly. Make sure the type of vertical lifeline you are using is compatible with the rope grab you’ve purchased. And, most of all, make sure the employee using the system knows this. As always, your solution will only be as good as the training your employees receive and the level of care and maintenance you provide for your equipment.